For some reason, on Friday evening I did not have much fun. I don’t know what had been the reason. Maybe it was just because I was tired after work? Or maybe because I decided not to visit any of the programme items on that day. Whatever the reason had been, I spent the time trying to socialize with people, but was not really successful at it. I think the reason is internal and I was simply a little bit too grumpy. Yet I was terrified as I love Imladris and was afraid that the magic evaporated. It became slightly better in the evening in the convention pub (BarON). Although I was really tired, I had a great time there. It was not a long night for me (I am not a party animal) but I am happy I decided to visit the pub. Once I left the BarON, I was already looking forward to the next day. Saturday is the programme day! On Saturday I started to feel the magic. It was the Imladris I love to attend. I spent really a lot of time attending programme items. Three were related to RPG. 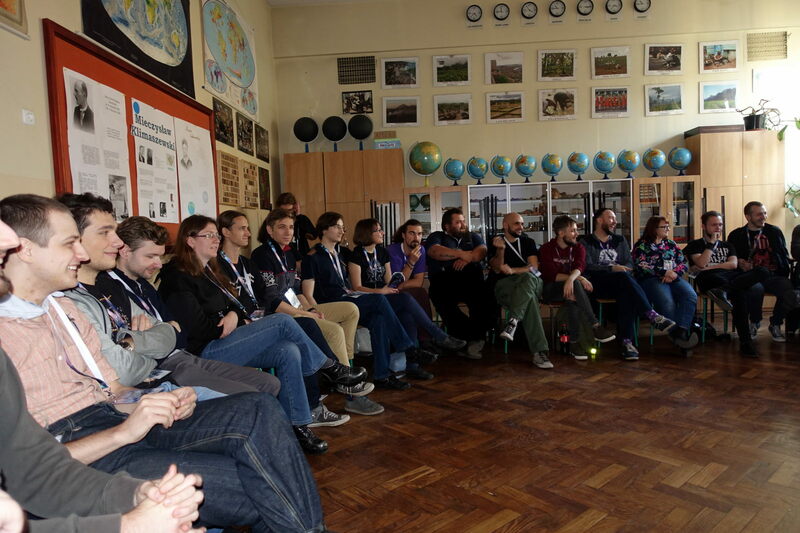 The first one at ungodly hour (10 AM) was about books on RPG – from scientific publications to more informal ones. I am not a RPG historian, but the presentation was fascinating. Similarly, the other programme item by the same participant – Seji – where he talked about the Satanic Panic in relation to RPGs in the USA. 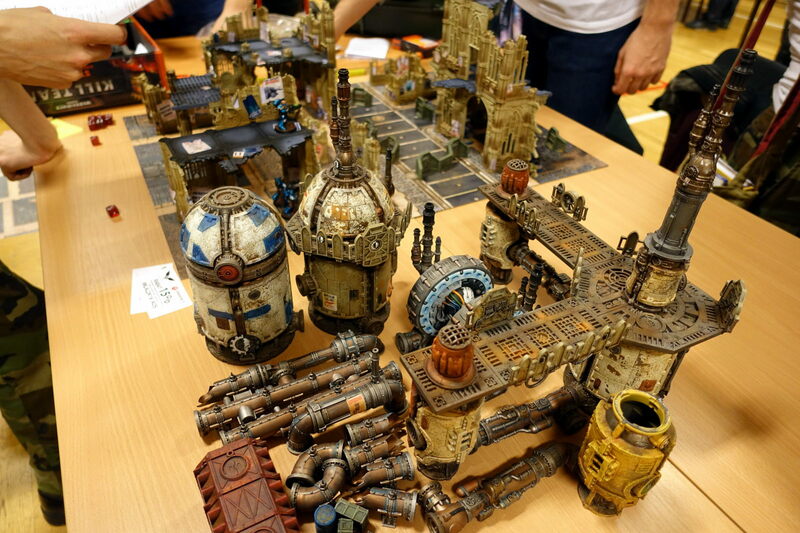 Lastly, there was a discussion called Let’s talk about RPG. It was so crowded, we had to bring more chairs from the other room. Huge crowd at Imladris XVII edition of Let’s talk about RPG. There were also two programme items that I had to take care of. The first one was a talk on conventions abroad and my “philosophy” of congoing. I was really happy, because many people came to listen to what I had to say. As you may remember, I complained before that Polish fans are not really interested in the fandom matters. 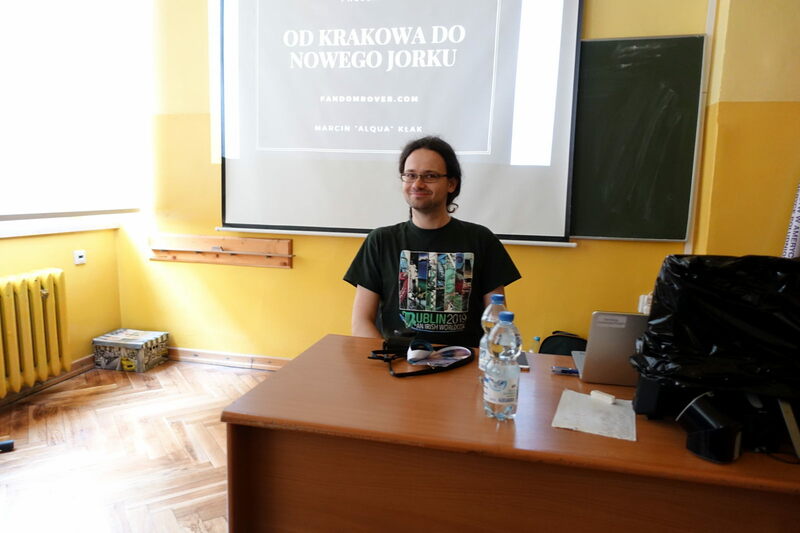 Here, the situation was different and I hope I managed to convince some people to travel to conventions outside of Poland. Later, I was a moderator of a panel on “unfinished tales” and what authors do with them. You cannot see my audience here but trust me there were relatively many people. … so what is wrong with the numbers? The first Imladris took place 20 years ago. It was the end of January 1998. Yet this year we had the seventeenth iteration of this con. This is related to the fact that between 2008 and 2012 Imladris was not held. It was revived in 2013 and continues until today. 20 years of Imladris panel. In case you were actually counting, there is one more “issue” with the numbering. Back in 1998, there were two Imladrises held, but starting 1999 there was only one per year ;). I also had some interesting talks in the eating places – especially in a little French cafe/shop (FloMaRo) near the convention venue. Here, I had the pleasure to eat some desserts on both Saturday and Sunday. I know it is not directly related to the convention, but you have to know by now that I have a sweet tooth… and the plum tart was really tasty. 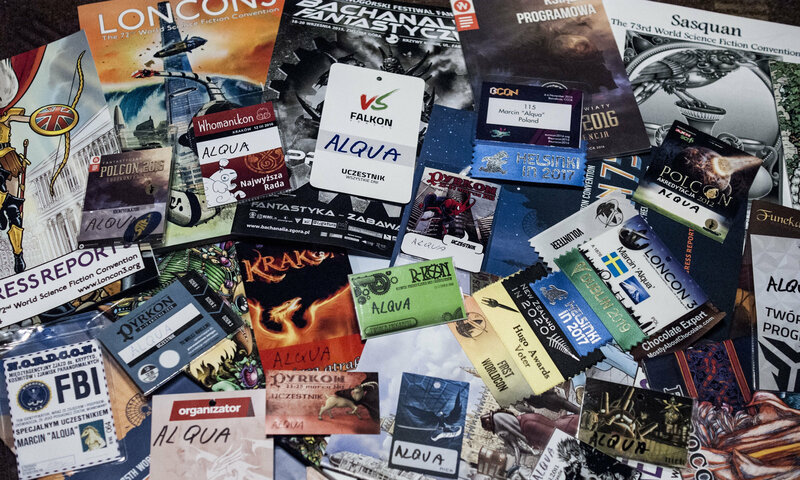 Apart from having a talk on conventions abroad, I had a few more occasions to promote the foreign fandom. I advertised Dublin Worldcon a little bit (the ribbons are becoming popular now). 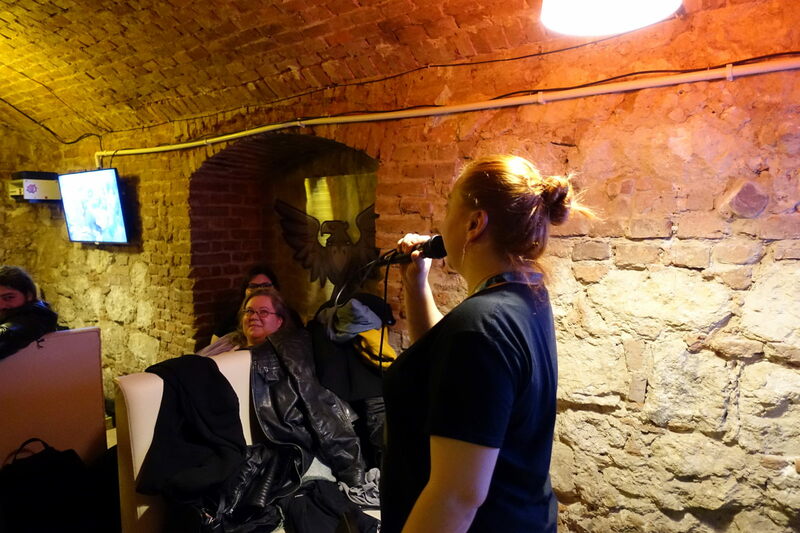 And lastly, I had the presentation of my GUFF trip. Here again I was surprised, as more people came than I expected. 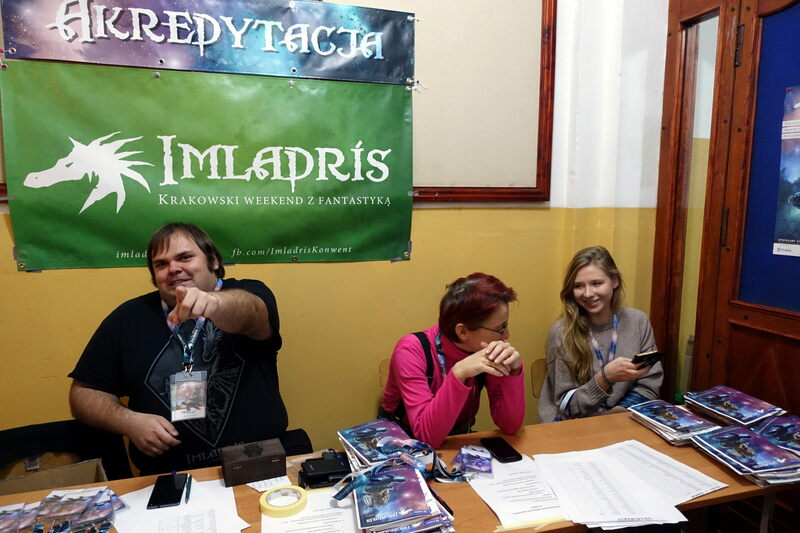 Although Imladris was smaller than many other cons in Poland (I think a bit more than 750 people attended), the attendance at the programme items was really high. I really like the design of those things. All in all, the convention ended and I had to return home. It was a great weekend and, as it happens each year, I am happy I had the chance to participate in Imladris. I do hope that I will manage to attend it again next year and will have a great time, as always. My next post will be Published on 29th November.